Many of us have a signature item of clothing, like a preferred style of cardigan or beloved pair of black pumps. 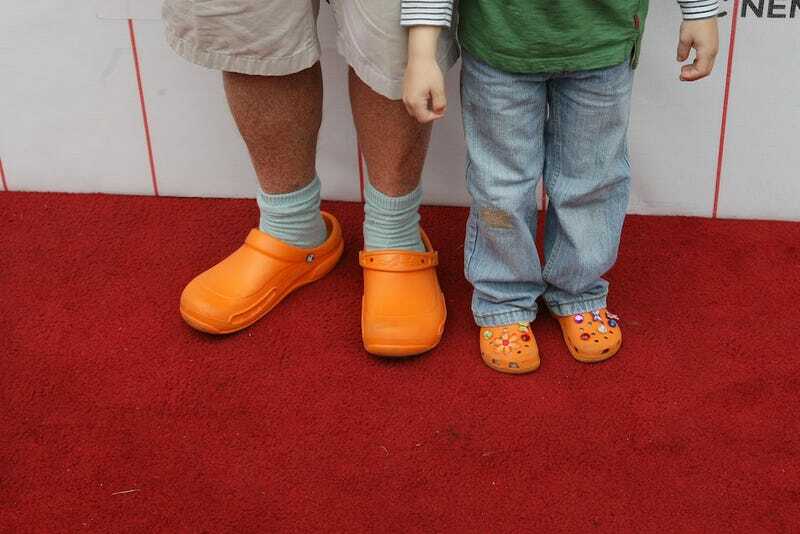 But rare is the level of dedication that chef and foodie personality Mario Batali shows his beloved orange Crocs. DETAILS: How many pairs do you own now? Mario Batali: Probably 30. I just ordered 200 more because they're about to take orange out of the field. They made a special run for me before they retired the color. He's not happy about the development, but he's coping. "They're gonna stop the Mario Batali orange! It's preposterous! But they're doing pretty well without me. Nothing lasts forever, baby." Don't panic, though: A Croc rep tells Eater that they'll continue to sell their line of "Bistro Mario Batali Vent Clogs," which are specially designed for kitchen wear. So you've still got something to give your wackiest aunt for her birthday every year.